How have we continued to grow and prosper for over three decades in an industry that some say is on the road to extinction? When it comes to choosing a printer today we know you have more choices than ever before. We don't promote our business as being the biggest, the fastest or the cheapest. We compete by treating each and every customer the same way we want to be treated. 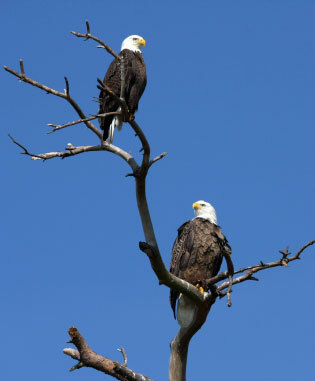 Our company mascot, the great American bald eagle selects a partner and stays with that partner for life. It is our sincere desire to not only earn your business with great customer service but to keep your business for the life of your company.